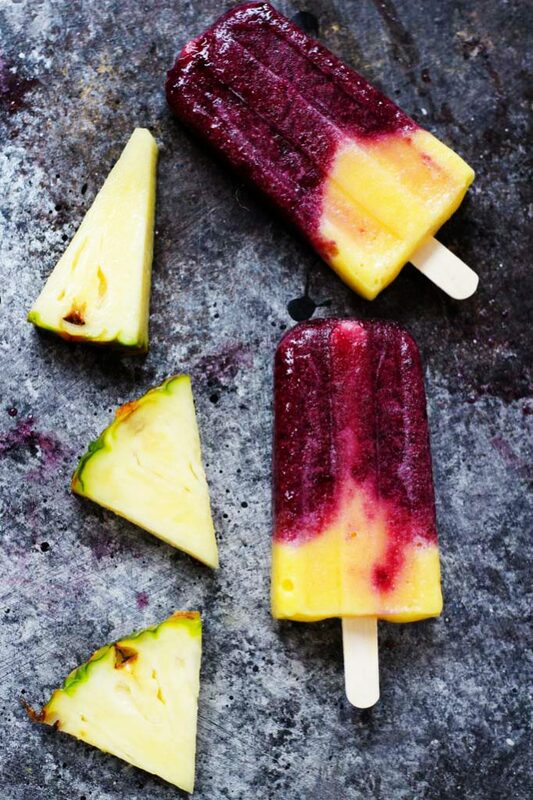 Cherry and pineapple are a match made in heaven – especially when paired together in these Cherry Pineapple Popsicles. An icy summer treat that’s perfect for cooling off on the patio. Why is it that pineapple and cherries seem to go so well together? Could it be that their bright colors are just so darn pretty together? Or, is it that the acidity of the pineapple is the perfect pairing for ripe, sweet cherries? Really, what would a pineapple upside down cake be without the cherries on top? Boring. I absolutely love the flavor combination, and I have since I was a kid. Whenever the ice cream truck would stop by, I’d always grab for the pineapple cherry ice pops. Whatever happened to ice cream trucks, by the way? Can we bring them back? I was at home last weekend and I could have sworn that I heard the music of an ice cream truck playing just a couple blocks away. The kid in me wanted to run outside and check it out, but the adult in me was happy with my glass of rosé and Real Housewives playing on the television. 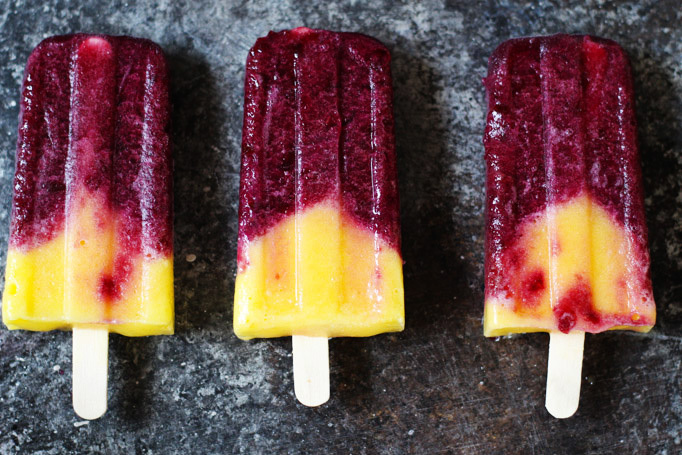 It really just takes three ingredients to make these yummy ice pops. The flavors are straightforward: cherry, pineapple juice and, if you’re so inclined, a bit of simple syrup (which is just sugar and water). If you prefer a more natural-style ice pop, feel free to leave out the simple syrup entirely. I’m pretty sure that I’ll be pulling one or two of these out of the freezer to enjoy on hot nights this summer. In a blender combine pineapple chunks with 1/3 cup of pineapple juice. Taste and sweeten with 1 Tbsp. simple syrup, if necessary. Transfer pineapple puree into a liquid measuring cup with a spout and set aside. Rinse out the blender. Puree cherries with remaining 1/2 cup pineapple juice. Taste and sweeten with 2 Tbsp. simple syrup, if necessary. Transfer cherry puree into another liquid measuring cup with spout. Pour cherry puree into molds, filling half way. Next, slowly pour in pineapple puree. Cover popsicle mold and insert wooden sticks. Freeze for 4-5 hours, until firm. To remove popsicles from mold, submerge mold into room temperature water for 60-90 seconds. Remove from water and pull popsicles out. In a small sauce pot, combine water and sugar. Bring to a boil until sugar has dissolved. Let cool to room temperature. Store in fridge until ready to use. 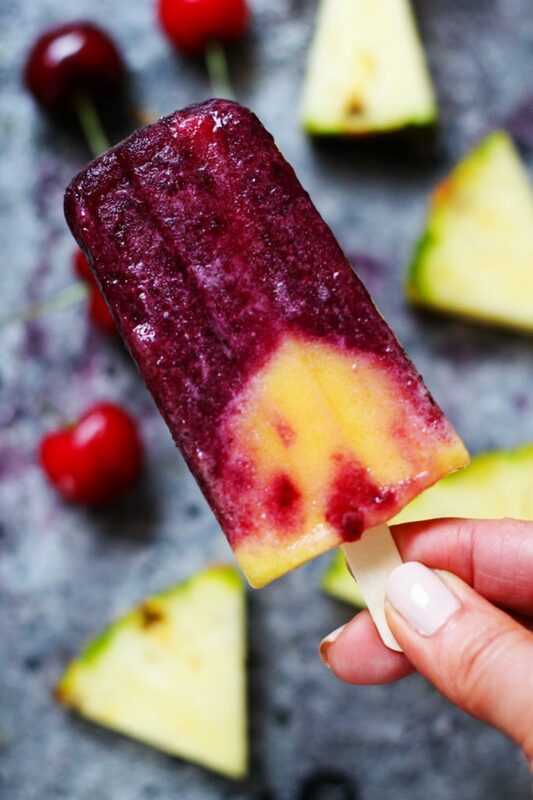 If you loved these Cherry Pineapple Popsicles I would appreciate it so much if you would give this recipe a star review! Also, be sure to snap a picture of your finished dish and share it with me onInstagram using the hashtag #platingsandpairings and tagging me @platingsandpairings. Note: The ice pop mold that I used is available here. These look absolutely amazing – I cannot wait to try this recipe. YUMMY! Thanks for sharing. Thank YOU for stopping by Cecelia! Your popsicles are so pretty!! And I love the flavor combination! Definitely want to try these! Oh I agree with you these popsicles are so pretty and I’m sure they are tasty too. I’m going to have to give them a try this summer. 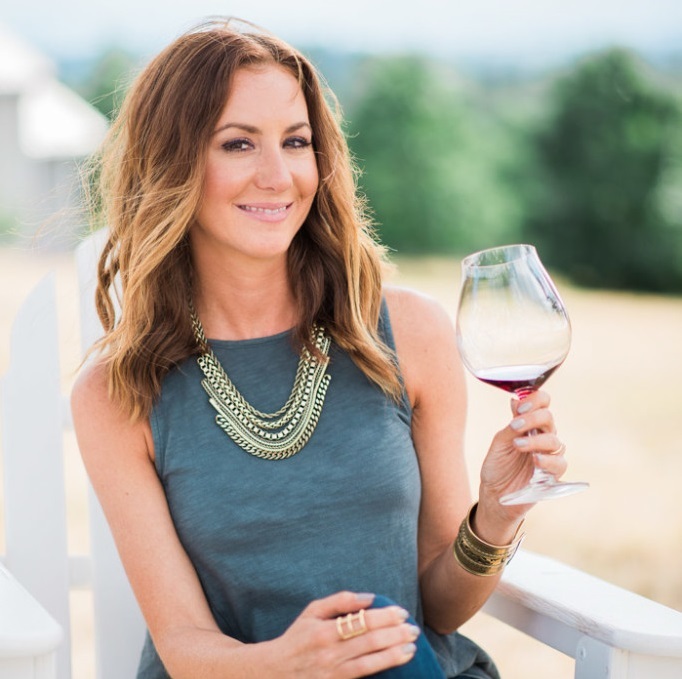 I hope you try them out Shelly – Perfect for summer! That sounds like a great flavor combination! Goooooooregous photos, as always!! 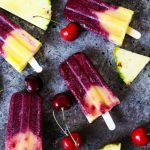 I wonder if you could do it without the simple syrup–both pineapple and cherries are already super sweet fruits, these sound very sweet naturally! You can definitely omit the simple syrup – I’ve done it both ways. The simple syrup just gives them a bit less of an “icy” texture. The colors are so vibrant in these! They might be the prettiest popsicles I’ve seen! We have all of these ingredients in my house right now… might have to make these this weekend! Love this recipe! Thanks SO much Marlynn – I think they’d make a perfect icy treat for this beautiful 4th of July weekend that we’re going to have! These are so pretty and look so fun! I really need to get myself a popsicle maker! amazing combination ! thanks for sharing this recipe ill try it !